Home WWE BREAKING! 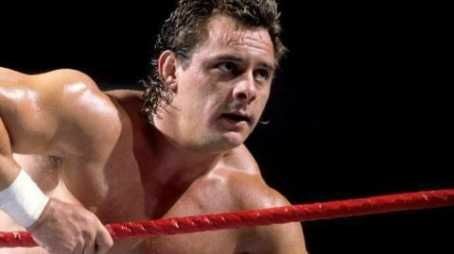 WWE Legend Tommy Billington A.K.A Dynamite Kid Is Dead! Earlier today, UK wrestling trainer Marty Jones took to Facebook to confirm Billington's death. "It's with great sadness I have to inform you all that THE "DYNAMITE KID" TOMMY BILLINGTON ON HIS BIRTHDAY HAS PASSED AWAY.. A TRUE BRITISH AMBASSADOR FOR WRESTLING WORLDWIDE RIP "KID' CONDOLENCES TO MARK & HIS FAMILY MARTY JONES". Wrestler Will Ospreay wrote on Twitter: "I heard news that Tommy Billington also know as the Dynamite Kid has passed away. American wrestler, TJ Perkins, wrote on Instagram: "Dynamite Kid and Tiger Mask made me want to be in New Japan when I was younger. "Even more so than the WWF. My first ever real job in wrestlinghappened to be in New Japan, as soon as I graduated High School and turned 18. "To say it was an honour to step into the ring in the company where these two guys built what we know today as 'Cruiserweights' is an understatement. "I'm very sad to hear that we lost Dynamite."